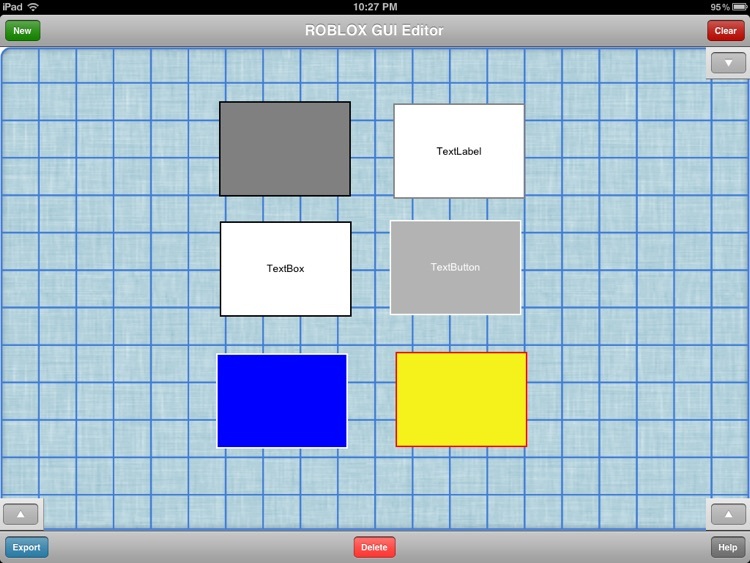 This application is designed for users of an online virtual building game known as ROBLOX. 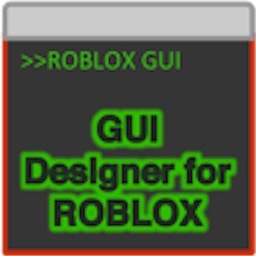 In ROBLOX you can create virtual games with building bricks and different onscreen components such as GUIs. GUIs allow for an enhanced experience when the user-created game is played by other users. 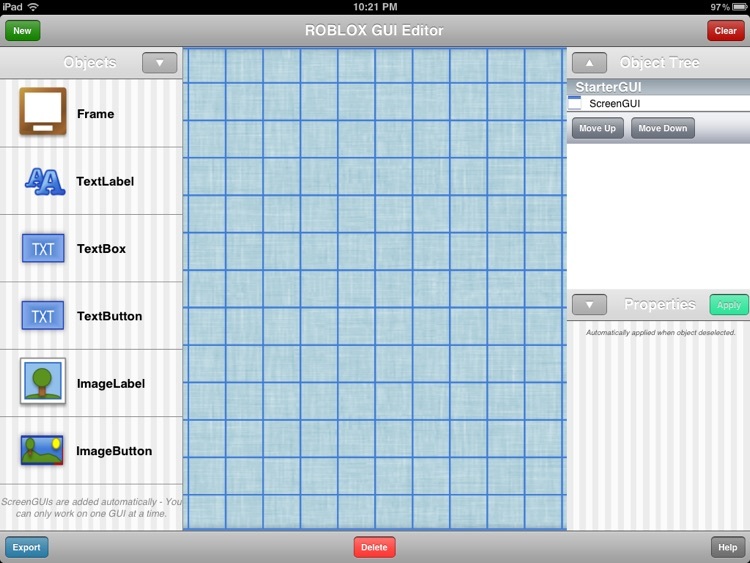 Currently, when creating GUIs in a ROBLOX game everything must be typed in manually - such as location and size. 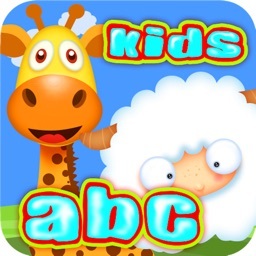 With this application the hassle and repetitiveness is greatly diminished. 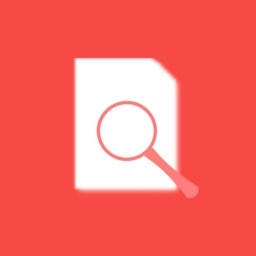 Once a component has been added it can be resized and dragged around the game's "Sandbox". 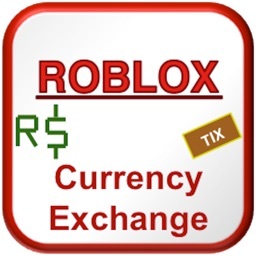 Every component has manipulatable properties that change it's appearance and behaviors in ROBLOX, most of these changes can be seen visibly in the application. All components can be selected at a later time and can be selected directly or using an Object Tree. The Object Tree also allows for objects to be reordered for onscreen hierarchy. 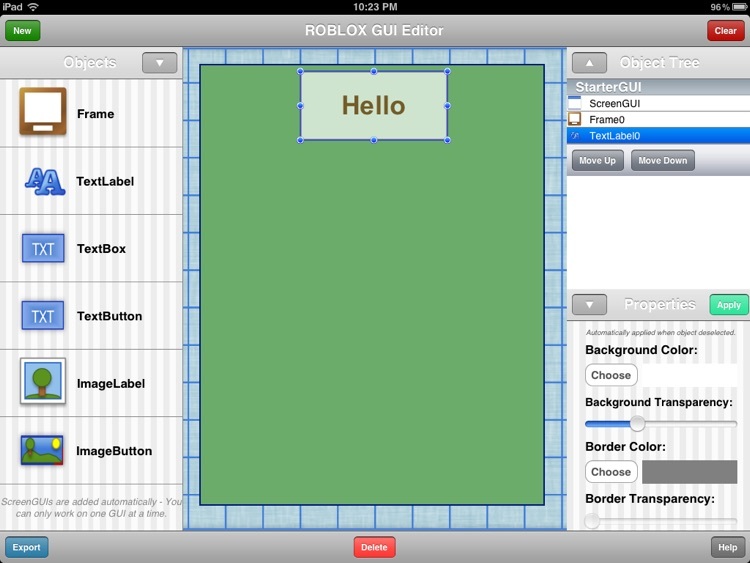 With a completed layout for a GUI in the application you can now export the onscreen layout into a ROBLOX Lua Script. 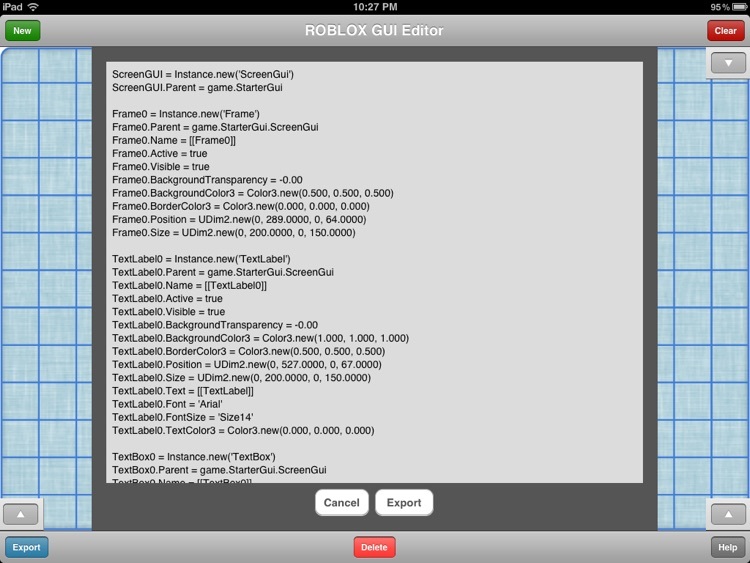 This ROBLOX Lua Script can be e-mailed or copied to your devices clipboard. 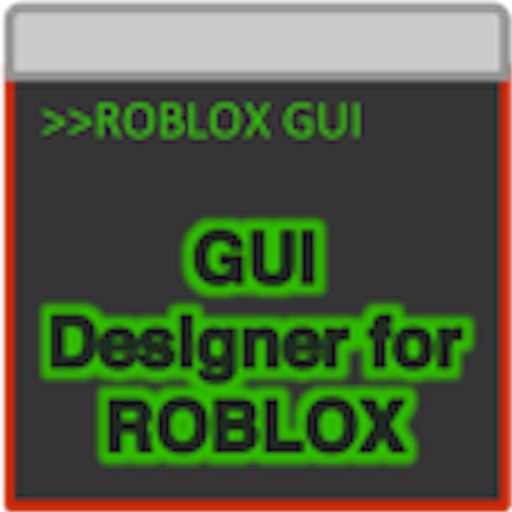 To use this Script either enter it into a new ROBLOX Script in a ROBLOX game or type it into the ROBLOX Studio console while editing a ROBLOX game on a computer. 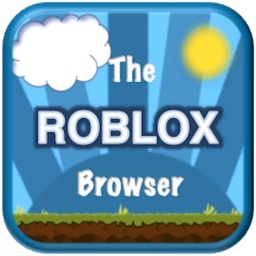 A ROBLOX account is not needed to use this application, but one is needed to continue the purpose of this application.